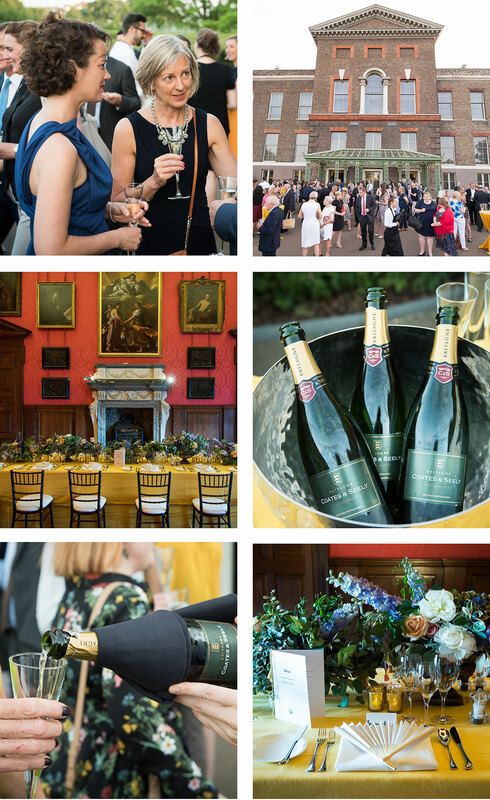 Coates & Seely were honoured to have their Brut Reserve NV sparkling wine served at the opening night of the ‘Enlightened Princesses’ exhibition at Kensington Palace. Curated by the Historic Royal Palaces in conjunction with the Yale Center for British Art, the exhibition explores the lives of the three German princesses – Caroline of Ansbach, Augusta of Saxe-Gotha and Charlotte of Mecklenberg-Streliz – whose respective marriages to George II, George III and George IV placed then at the very heart of the Enlightenment underway in 18th century Britain, and the shaping of the modern world. On what proved to be the hottest night of the year thus far, the chilled Coates & Seely proved a doubly welcoming refreshment to a fascinated and appreciative audience.